I mentioned in my last post that some of my current knitting will not be featured here on the blog. 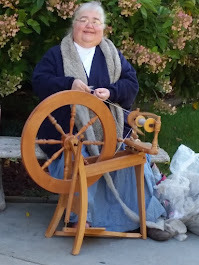 Sunday with the suddenly cooler temperatures was wonderful for working on my bulky wool vest. One of my new projects will be shown here at least some. For a while it won't look like anything at all so I can share it here. I have been thinking it would be a good project to try a new to me technique...magic loop. 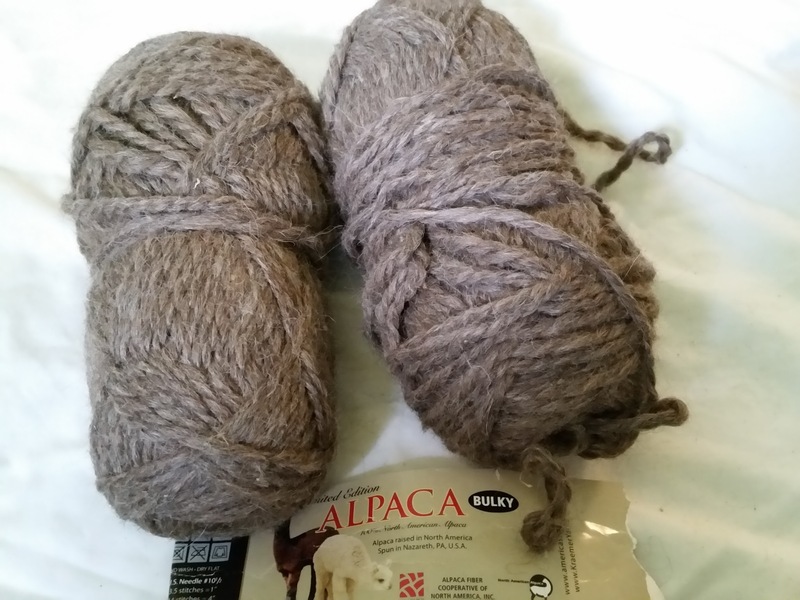 I think the yarn I will be using on it will be this rose grey bulky alpaca that I found in the stash. I love this color. Yeah, I know, bulky again. I really dislike knitting with bulky yarn. And now I am going to have two projects running with it. This is a fairly small one though. I think I will live. About the "new to me" technique of magic loop: It involves using a really long circular needle to knit in the round. But by leaving loops of the needle cable sticking out at the start of a round as well as half way around, you don't need to be knitting enough stitches to fill the needle. For example, a knitter may use a 40 inch long needle to knit a sock. Obviously your foot is less than 40 inches around. The extra cable will form loops on either side of the foot. To me the main advantage would be that the same needle can be used throughout. On a sleeve, as you knit from cuff to body in the round, you may increase to where it is difficult to keep them on double pointed needles. Plus, you can't drop a needle somewhere and lose it. Great for travel knitting. I am excited to try it.